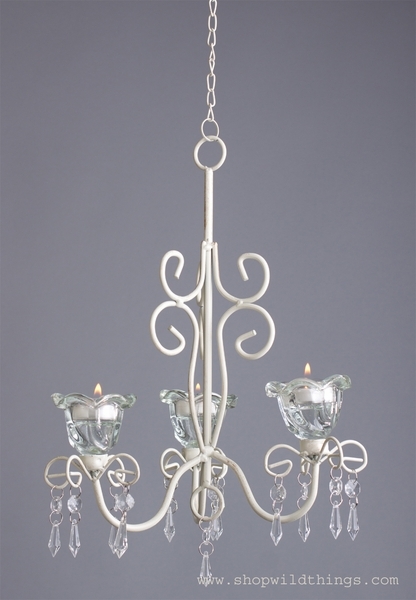 Hanging French Chic Candle Chandelier "Lulu" - 24.75"
Let us help you to instantly create an airy French Provincial ambience with this courtly chandelier! Sparkling flowers and crystalline drops dance amid creamy swirls of distressed-finish metal, turning captured candlelight into a dazzling overhead show. Candles not included. Metal, Acrylic. 9 1/4" x 9 1/4" x 24 3/4" high. It was perfect for my use! Very pleased with my purchase. As beautiful as it looks in picture. It is beautiful and light weight. Has all the crystals to make beautiful. 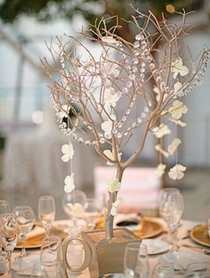 Using for a wedding. Great customer service, fast shipping. This Candlelier is adorable!! !